Hi girls! 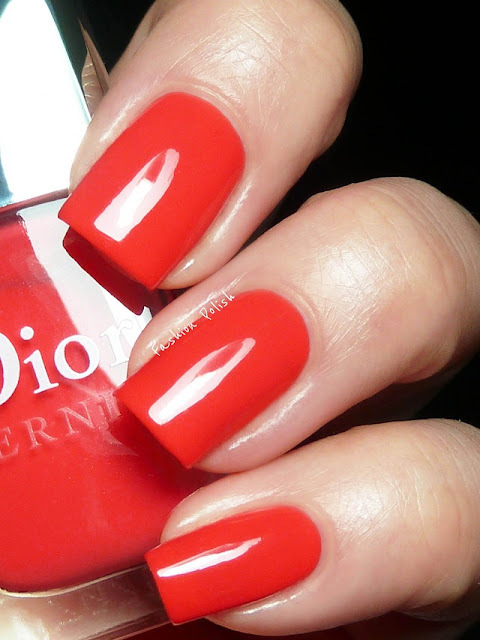 Today I have for you Dior Riviera from the Extreme Addict collection. Orange has been hot this year and every brand has released their take on it. Riviera is a bright coral orange. Not a pure tangerine like we've seen a lot lately, it actually looks more redish coral than orange under certain lighting. It's very similar to Lucky that way, so versatile. I used 2 coats plus topcoat in the swatches below. Again, not the most original shade, Riviera is nonetheless beautiful and extremely well formulated. For Plaza you could consider OPI Kiss me on my Tulips that is more blue based but in the same color range. Lucky falls somewhere between OPI My Chihuahua Bites (more coral) and Essie Strawberry Sorbet (more pink). Riviera is surprisingly lonely in my (growing) orange stash so I can't offer any alternatives. So pretty love coral oranges. 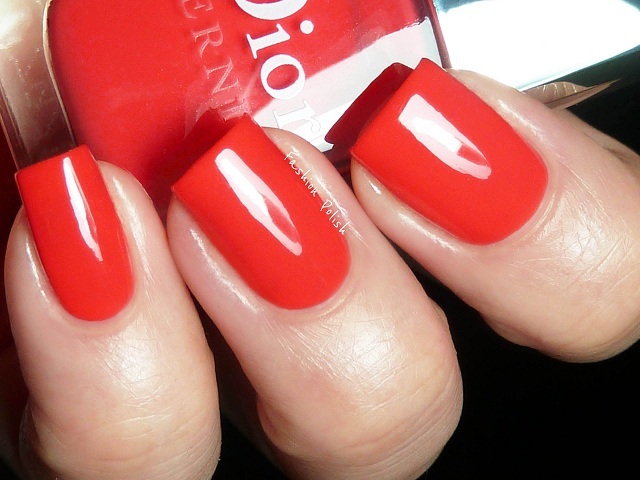 I love this red-orange, and your fingers look perfectly manicured! Agreed- not entirely unique but still very pretty! Love this color. I don't think I have anything like it either. True. Not original. But still shiny and pretty. I think I need this one! Such a gorgeous color! This is gorgeous, so shiny!